Veterans receiving treatment at the Dayton VA Medical Center will benefit from the care and comfort of having their families nearby, at no cost, through Fisher House services, thanks to support from a Foundation grant. Futures is The Dayton Foundation’s award-winning newsletter for estate planners and financial advisors. Authored by respected professional legal and financial advisors in our community, each issue of Futures features a particular charitable giving vehicle, along with helpful case examples. The following is a link to access the current issue of Futures in PDF format plus more information about the article’s author. By Sam Warwar, Esq., Tax Partner, Coolidge Wall Co., L.P.A. Sam Warwar, Esq., is a shareholder in Coolidge Wall’s Tax department. 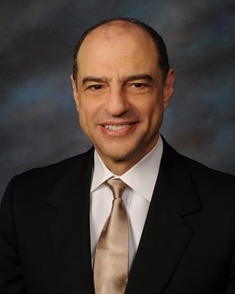 He has over 30 years of experience assisting clients with IRS controversies, as well as advising and representing buyers, sellers and investors with business transactions and acting as general counsel to businesses, nonprofit organizations and families. Sign up today to start receiving Futures (either in print or electronically). “...tax law provides that the income tax deduction for a charitable gift of S corportion stock or an LLC membership interest is reduced to reflect the ordinary income component of the underlying assets owned by the S corporation or the LLC.” – Sam Warwar, Esq., Tax Partner, Coolidge Wall Co., L.P.A.